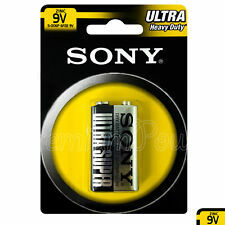 You will receive: 1 Sony battery. 10-year shelf life. SONY ULTRA 9V 6F22 PP3 MN1604 1604D. Expiration date: 2020. Heavy Duty Battery. Food & beverages. 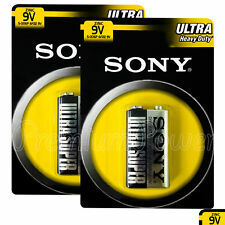 SONY(R) S-006P-B1A 9-Volt Ultra Heavy-Duty Battery - Free ship. 9V, PP3, LR22, MN1604, BLOC, E-BLOC, 6LR61, 1604AU, X22, 1604, 1604A, 1604AC, 4022, 522, 6AM6, 6F22, 9VOLT, A1604, CLR6, K9V, KA9, ND65V, R22, RB100893. 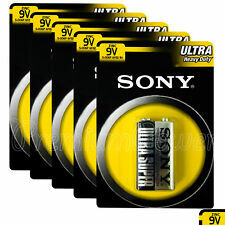 Ultra Super 9V batteries . Type Zinc Carbon. Battery Size. 9V, PP3, LR22, MN1604, BLOC, E-BLOC, 6LR61, 1604AU, X22, 1604, 1604A, 1604AC, 4022, 522, 6AM6, 6F22, 9VOLT, A1604, CLR6, K9V, KA9, ND65V, R22, RB100893. 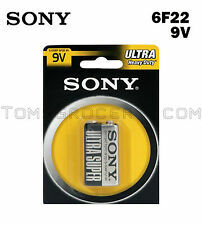 Ultra Super 9V batteries . Type Zinc Carbon. Quantity 10 batteries. 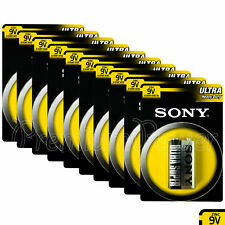 2 x SONY ULTRA 9V 6F22 PP3 MN1604 1604D. Expiration date: 2020. Heavy Duty Battery.